1600 feet of climbing in first 4 miles all on fireroad. Then last 3.5 is downhill technical singletrack. Review: Trail was a pure down hill free ride style trail. Very technical and steep. 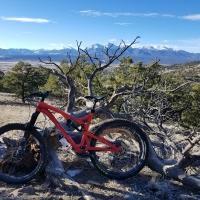 I was able to ride it on a rented trail bike but was over matched on most of it. I am a rider of average ability with no real downhill experience or talent so I was white knuckle most of the way down. Basically it runs underneath the gondola that takes you up to Murren from Lauterbrunnen. Winteregg Loop MTB Trail 4.00 out of 5 based on 1 ratings. 1 user reviews.